This Diablo chicken lost its head sometime during production. D.W. Bradley was once a force to be reckoned with in roleplaying game design. 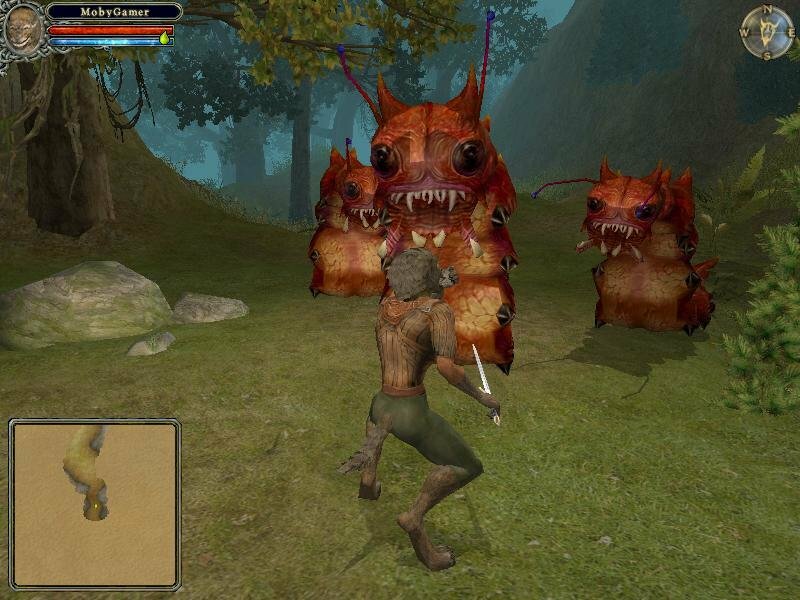 In partnership with the late, lamented Sir-Tech Software, he created one of the finest computer RPG trilogies ever made in Wizardry V, VI, and VII. But that was a long time ago, 1988 through 1992, to be exact. 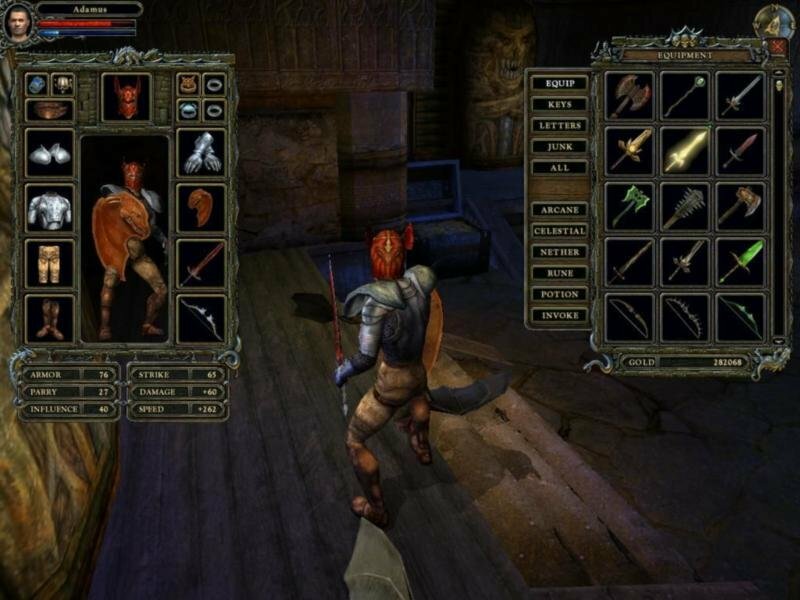 Dungeon Lords, an action RPG in the tradition of Diablo, shares much with Bradley’s last effort, the disappointing 2000 release Wizards & Warriors. 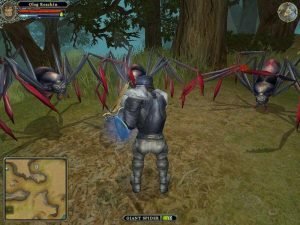 Both attempts at returning to hack-and-slash glory are derailed by dated gameplay, wonky controls, and more bugs than an orc’s loincloth. 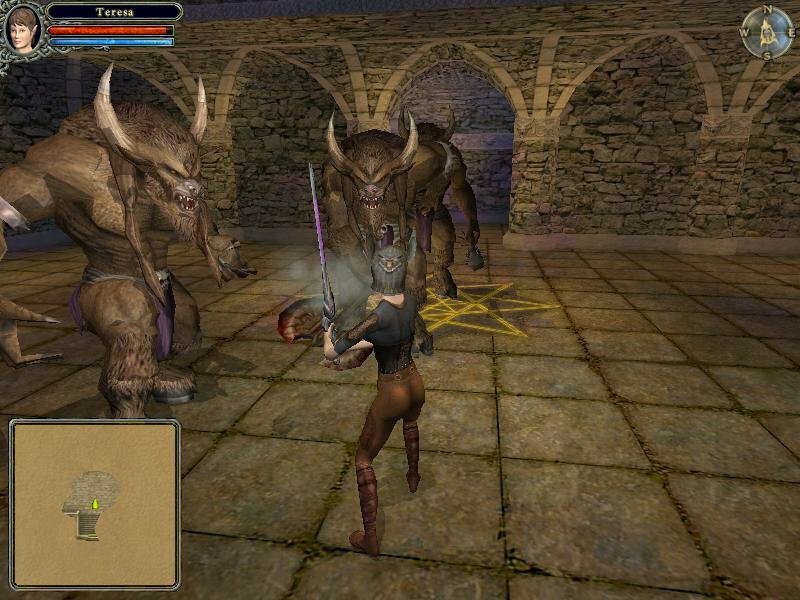 Dungeon Lords is so embarrassingly unfinished that both Bradley and publisher DreamCatcher should be ashamed for releasing it. 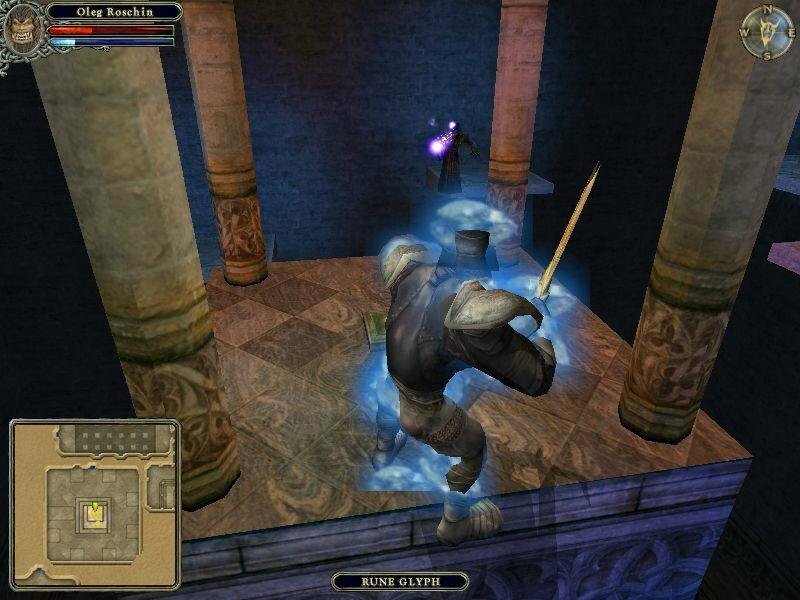 It was obviously booted out the door with little attention to quality control, let alone the spit and polish expected of a modern RPG. 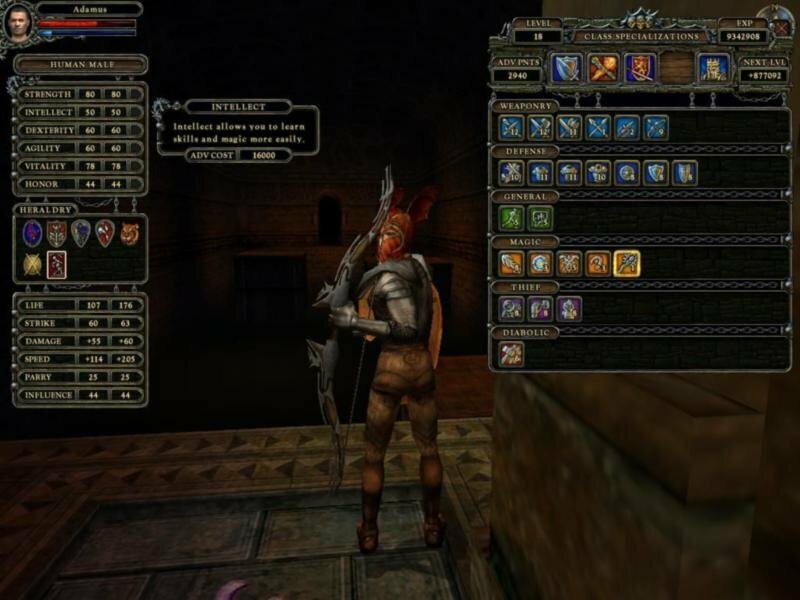 Many features described in the manual aren’t present in the actual game. 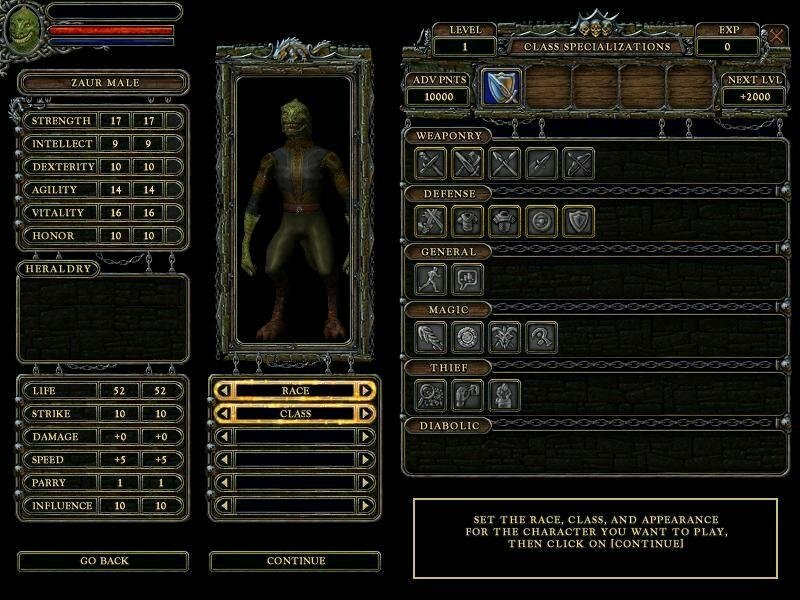 Most of the buttons on the character creation screen are blanked out, so you can’t use pregenerated heroes or customize faces, color, and hair, as detailed at length in the manual. Forget about calling up the automap, no matter how many times you hit the “M” key—it ain’t there. 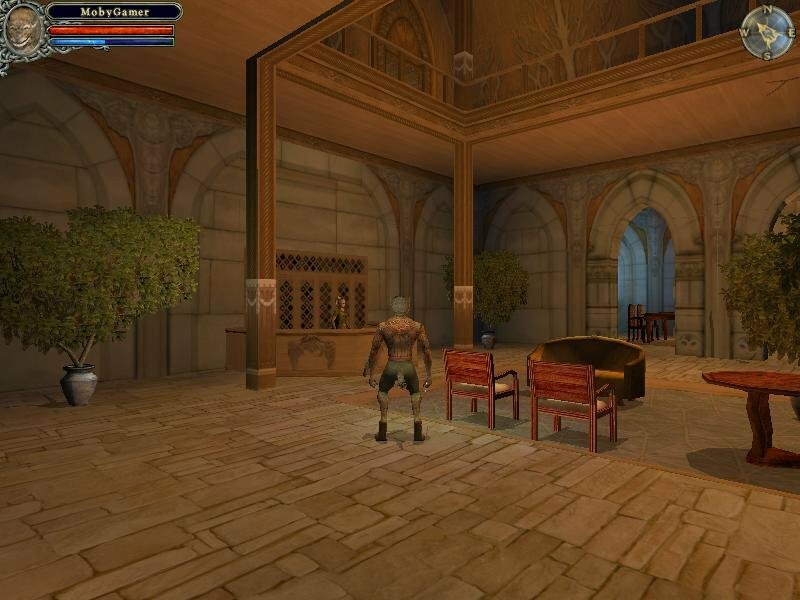 Towns are practically deserted, and rooms and corridors are nearly devoid of graphical detail. 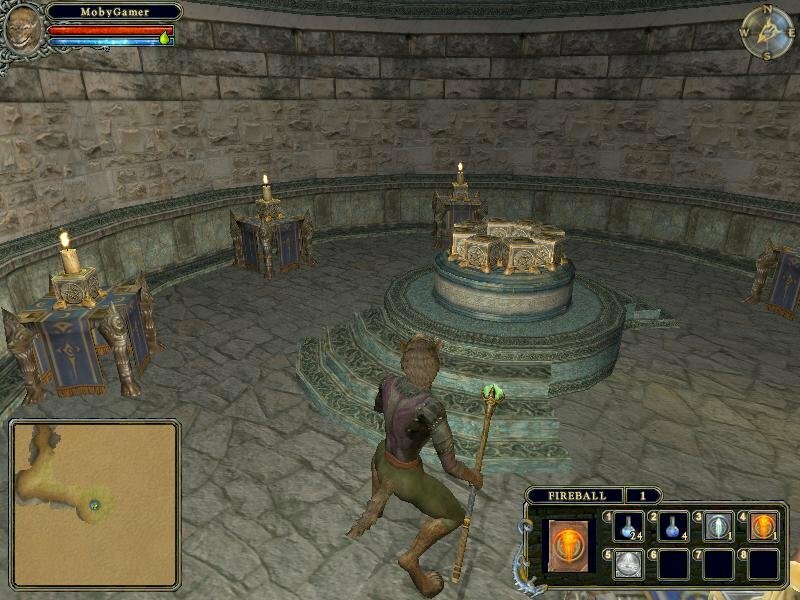 If not for crates—and there are more of them here than in the closing scene of Raiders of the Lost Ark—and chests, the game would have almost no furnishings at all. And what would an incomplete game be without bugs? 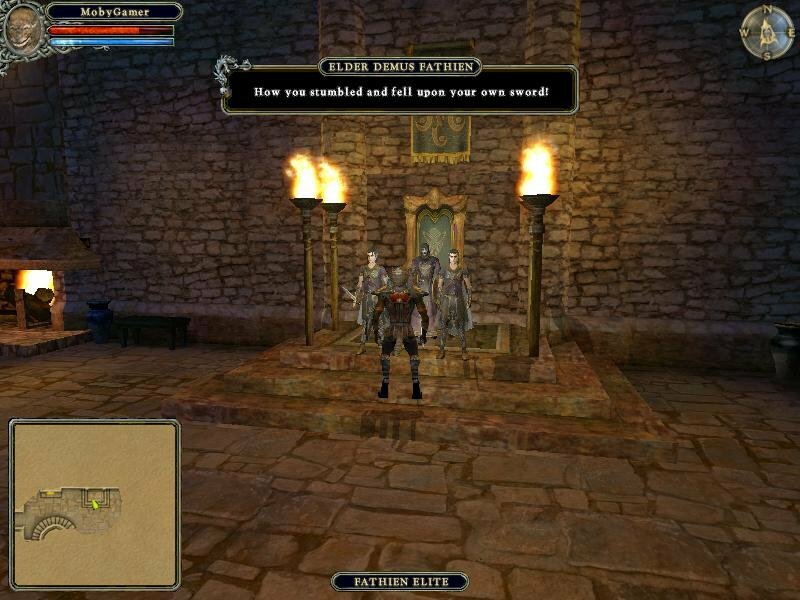 Aside from the insta-crashing that accompanied every Alt-Tab to the desktop (which, in fairness, is mentioned in the manual as a no-no, but come on, this is 2005), there’s flickering with multiple versions of NVIDIA drivers and frequent freezes that seemed like loading pauses without the courtesy of a graphic saying “Loading.” There’s also physics that bounce monsters up walls, tiny text locked at 640×480 (so forget about higher resolutions unless you want to turn into Mr. Magoo), and the occasional moment when the weight of all this crap causes the game to collapse to the desktop. If you’re still hanging in there waiting for a twist about a good plot or interesting multiplayer (although the game is more bearable when sharing the misery with a friend while playing co-op), there is no happy ending. 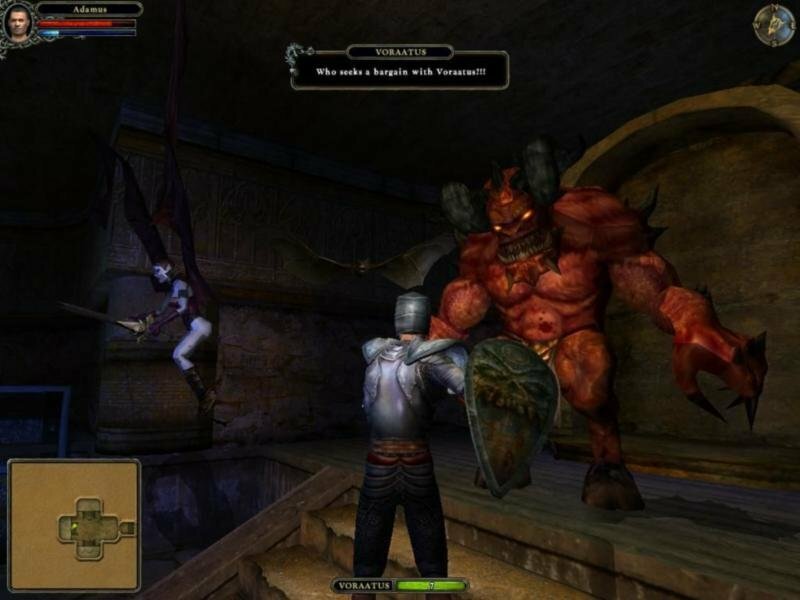 Everything in Dungeon Lords has been done before, and RPG veterans will easily pick out what Dungeon Lords has borrowed from Diablo, scarfed from Nox, and purloined from Arx Fatalis, etc. Plot is the usual claptrap about warring factions, artifacts of power, and a chosen one prophesied to save an Acme Brand medieval fantasy world. Extra points have to be given for admitting in the opening cinematic that the adventure to come is one long dungeon crawl, but it’s hard to dish out praise for coming clean over a total lack of inspiration. 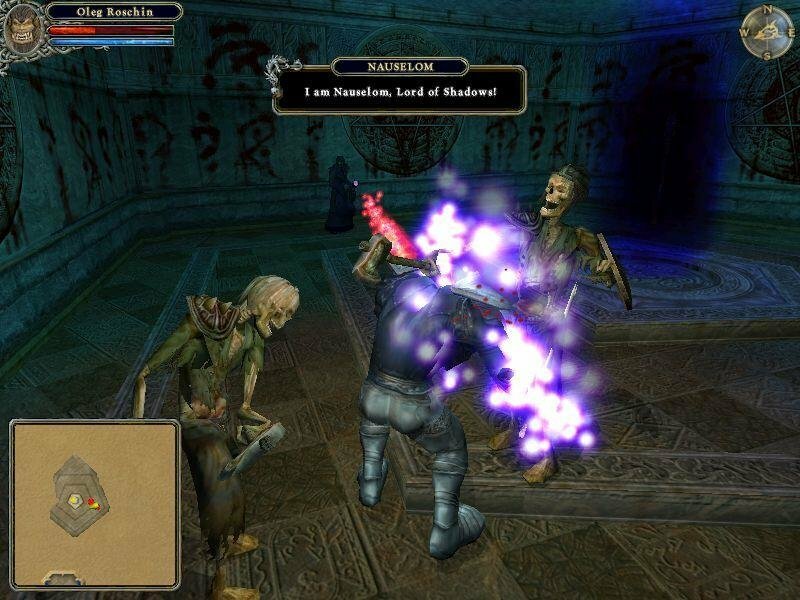 Even if the story was the second coming of Lord of the Rings, it wouldn’t compensate for confusing dungeons with no automap. 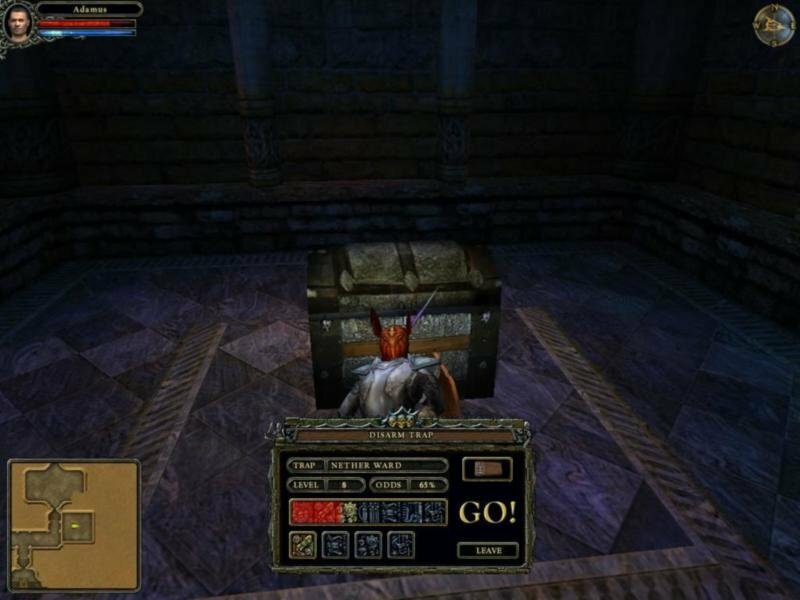 Quests are bland affairs where an NPC tells you to fetch some gizmo or other by slaughtering one pack of goblins, or skeletons, or spiders, or—insert stock RPG monster here—after another. Monsters respawn incessantly, too. 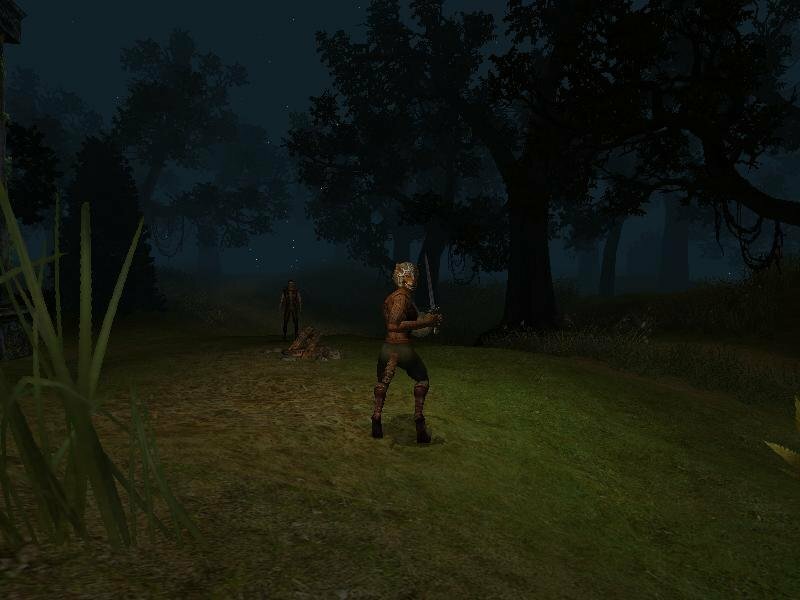 Linger for more than a few seconds—which you have to do all the time to get your bearings because of the whole “no map in featureless labyrinths” thing—and you’ll get surrounded by monsters and killed yet again. There’s a revive option, where you spring back to life by hitting “R”, but reincarnations take away too many attribute points for it to be useful. 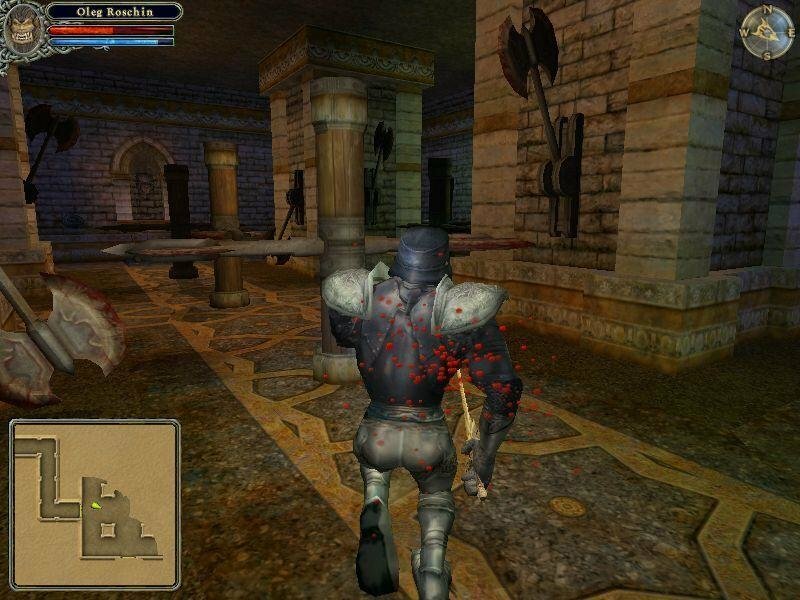 Use the option often and you’ll find yourself so weakened that you can’t even swing your sword, let alone kill anything. Hello, restart. Or, better yet, uninstall.